A blank tycoon mask like this one is perfect for accumulating wealth. 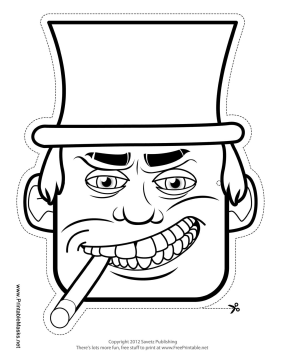 The mask's top hat, cigar, and big teeth can all be coloring in by you. This mask is free to download and print.